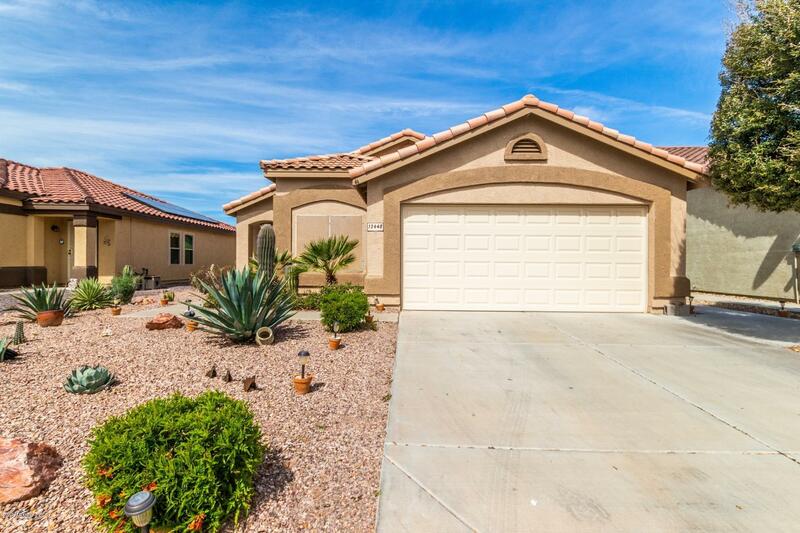 All West Point Town Center homes currently listed for sale in Surprise as of 04/23/2019 are shown below. You can change the search criteria at any time by pressing the 'Change Search' button below. "Don't miss out on this solar powered home!!! You'll love this 3 bedroom, 2 bathroom single level home with many updates the minute you step inside. Large living room provides a nice flow into the eat-kitchen with newer appliances, center island, and a walk-in pantry. Master bathroom has a private bath, walk-in closet, and sliding doors. Home offers modern tile flooring throughout with lots of updates and a new AC was installed in Aug 2018. Beautiful front desert landscaping welcomes you and "